With Thanksgiving Day only a day away, you’d probably think that I would have anything on my mind other than boating. True, if I lived further north, my boat would by this time be mothballed for the season. But in sunny Florida, you can spend time on the water practically the year around. When the days get shorter and the weather gets fickle, I think it’s the perfect time to write about winter boating basics. 1. When the weather outside is frightful – While every boater who lives in Florida knows the weather can change from blue sky to squall in minutes flat during the summer, it’s winter storms that are actually more dangerous. That’s because winter squalls can quickly chill you to the bone, especially if you own an open boat with nowhere to seek shelter. No matter if I’m going out for a day sail on my boat or someone else’s, I always carry a sea bag that contains foul weather gear including pants and jacket, a change of clothes and a bath towel just in case I wind up getting wet. Even if you wear foulies, you’re still going to get wet. The difference is that a nylon jacket and rain pants will keep you warm and wet as opposed to cold and wet. The jacket is also there in case a cold wind blows up. Also, make sure you bring and don a hat with attached lanyard so it won’t be gone with the wind the minute the breeze kicks up. 2. Let it blow, let it blow, let it blow – Winter squalls aren’t the only hazard to boaters. Unlike sudden gulley washers that are over and done with in a few minutes to leave a dead calm in their wake, the winter winds can blow for days on end. Unless you’re prepared to deal with them it can lead to your boat becoming swamped. 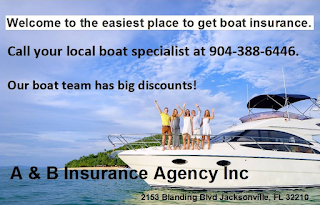 I don’t care how peaceful the weather seems when you put your boat in the water, unless you’re simply using it to cross the St. Johns River, you need to prepare to deal with wind and waves. That means taking waves bow on as opposed to athwart ships. It also means having a way to bail your boat out should your vessel take on water. Even if you have an electric bilge pump, it can fail or get overwhelmed should your boat take a big wave over the side. One of the best bailers I’ve ever owned is fashioned out of a gallon Clorox jug with the bottom cut off. It’ll bail a gallon at a time and the built-in handle makes a quick go of it. 3. Deck the hulls – Aside from lighting your boat for the annual parade of boats, anytime you head out during the all-too-short days of winter, you need to have lights for even the smallest of craft. You also need to know what the lights displayed by other vessels means. Can you tell the difference between another pleasure craft and a tugboat just by its lights? Or, a tug pushing a barge? You’d better, because a working vessel may or may not be able to alter course to avoid your boat. Worse still, if your boat has no lights, you run the risk of getting plowed under by another vessel that fails to see you in the fog, the rain or the dark. If you own a canoe or kayak, for under $30 you can purchase a battery-powered gunwale mountable bicolor LED navigation light that will keep you from becoming a speed bump on the water. Failing that, make darned sure you keep a flashlight and whistle or air-powered horn in your sea bag that you can use to warn off other craft. 4. You’re a mean one, Mister Grinch – You also need to know what to do should you come into conflict with another pleasure boat. If you don’t know the rules of the nautical road, you run the risk of getting in an on-the-water accident that you may or may not survive. Even if you have a basic familiarity with the rules, are you familiar with the fine points? Case in point: A couple of years back I was captaining a 39-foot sloop with a 6-foot draft up the salt run in Saint Augustine. The tide was ebbing and I was forced to run down the center of the channel to keep from grounding. Suddenly, a 50-foot powerboat came chugging out of the marina. When I refused to move my vessel to the starboard side of the channel (which would have caused me to run aground), the skipper of the power boat shook his fist at me and shouted some salty words my way. I replied by saying back, “I’m restricted by draft. You’re required to give way.” While I had a master’s license and knew this fact, the skipper of the motor yacht could have had no captain’s license and little knowledge of the rules of the road. All he knew was that I had crossed the line. The point is, you never know who is at the helm of a vessel coming your way. Unless doing so will put your vessel at risk, you need to realize that rules or no rules, the bigger boat usually wins the argument. There’s being right, and there’s being dead right. 5. Jingle hulls – Whether you are right or not, any time you wind up getting in an accident on the water, you’re going to be given part of the blame, unless doing so would have endangered your crew. That being said, you need to know what to do should you wind up banging hulls with another craft. Should that happen, not only are both vessels at risk, so is every man, woman and child aboard both. If worst comes to worst and you’re the boat’s owner, you need to know what to do before you make a bad situation even worse. b. If anyone onboard has sustained an injury, you need to attend to that next. Depending on the size and speed of the vessels involved, a simple bump on the head or bruised ribs could quickly turn into a life-threatening situation. c. Once you have put your house in order, you need to ask the captain of the other vessel if he or she requires any assistance. Regardless of who is at fault, you’re required to render assistance if needed. If the other boat was holed, it could require you to take on the captain and crew, no matter how inebriated they are or how mad you are. d. Call the Coast Guard if you or your crew has sustained an injury or your vessel has sustained any significant damage. If you just rubbed hulls without doing any real damage other than to your ego, you need not call the Coast Guard. If there was damage and/or injury, you need to call the Coast Guard. Hopefully your radio is still operational. This is a reason I always carry a portable, water-proof marine radio in my sea bag. Make sure you also document the incident along with the resulting damage and injuries. Don’t just write out a report, snap photos or shoot some video with your smartphone to document the details of the incident. Get a copy of the Coast Guard report as well. 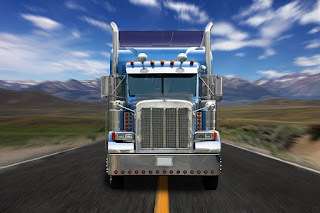 This will help you file a claim with your insurer, as well as keeping you from going to the poorhouse should anyone on either vessel decide to take you to court. Living in Florida, we boat all year long. Its good to know what you need to keep an eye out for when winter comes around.